Easy to carry and use floss! Love how I don’t have to measure how long of a floss piece I need to break off to use. It thoroughly cleans between each tooth while only needing to use one had. Love how one side is the floss piece and the other can fight through tougher areas. Also great because I can easily carry it around with me wherever I go, I don’t need to take the whole pack just a few picks. 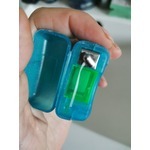 These little floss picks are great for on the go flossing! 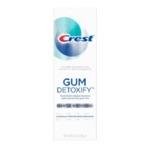 Super convenient and great minty flavour. Easy to use, a little hard to get the proper angle angle to floss in the back but it’s not impossible. I really like this version of floss. It is easy to handle and for me better in effectiveness. 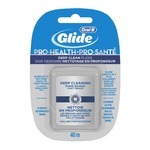 I can reach all the spaces easier and I feel my teeth much cleaner after! The scent also make the difference because you feel very fresh! These get into the tough spots at the back of your mouth. They are also way less messy that regular floss and more portable. Also minty if you want to have that just-brushed feeling. I buy these tooth flossers/picks on a regular basis for myself. I love that their super easy to use and easier to use than regular string floss. 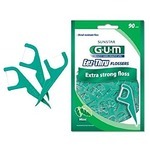 I love that you get better control than regular floss, super easy to maneuver in your mouth and the pick is great for when you get something stick between teeth that the floss cannot get out. I really like using these instead of regular floss. Much more convenient and easy to use. Does the job well. Not expensive. Floss doesn't break either.